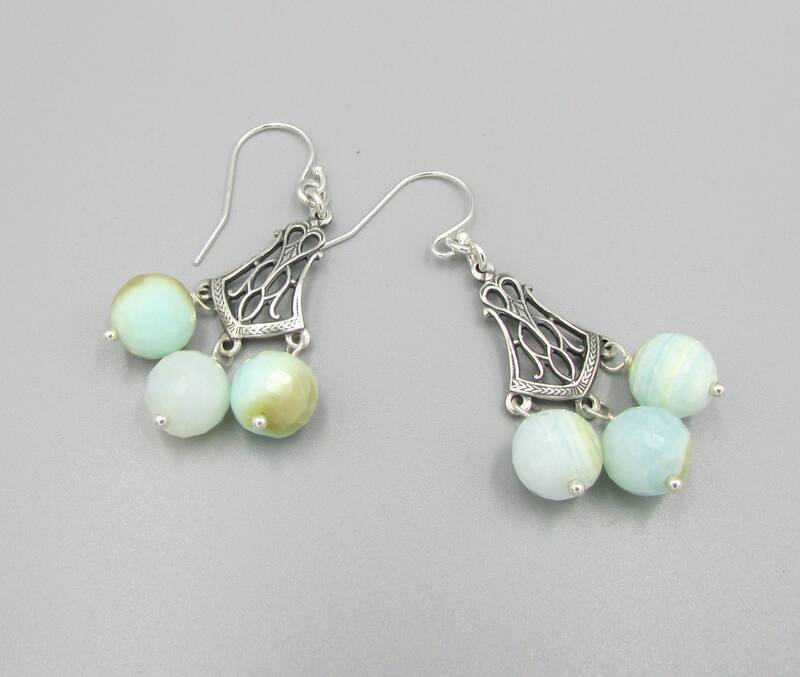 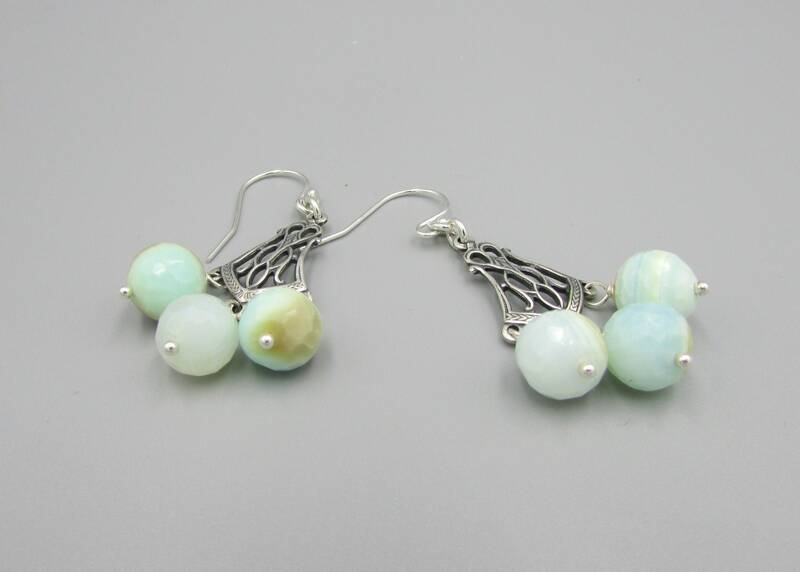 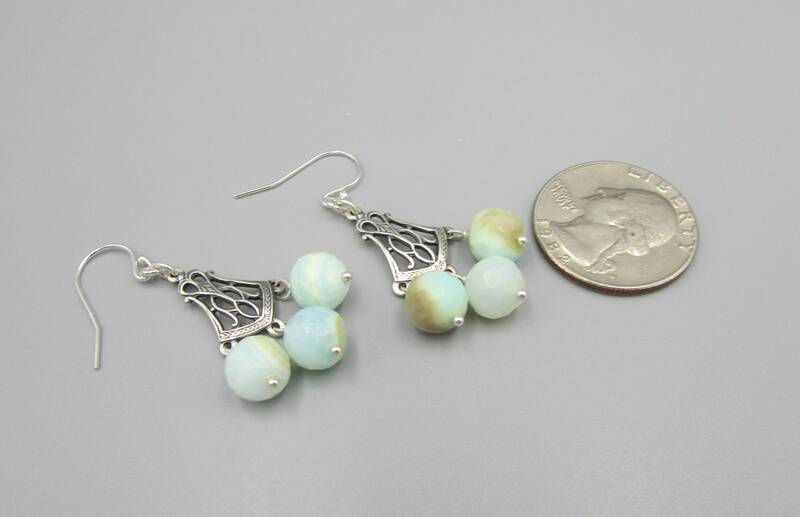 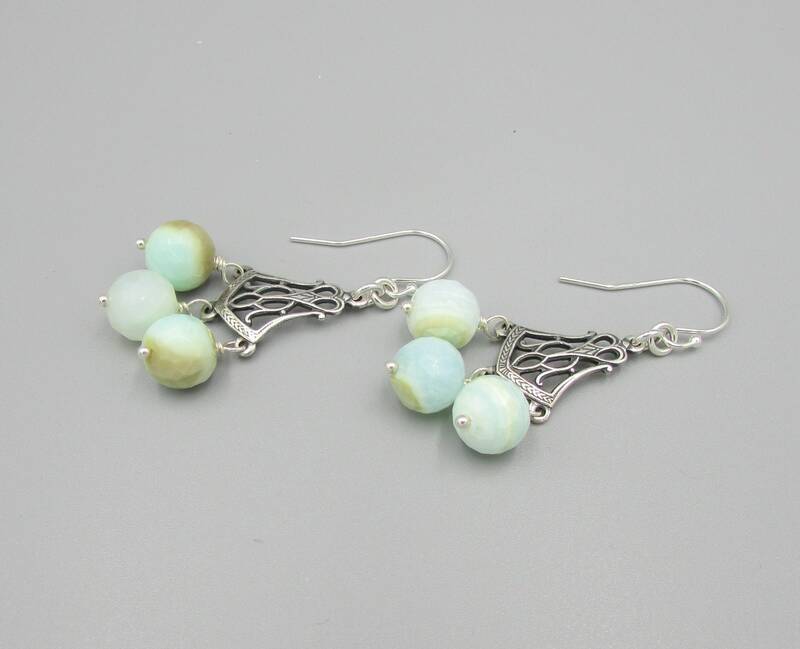 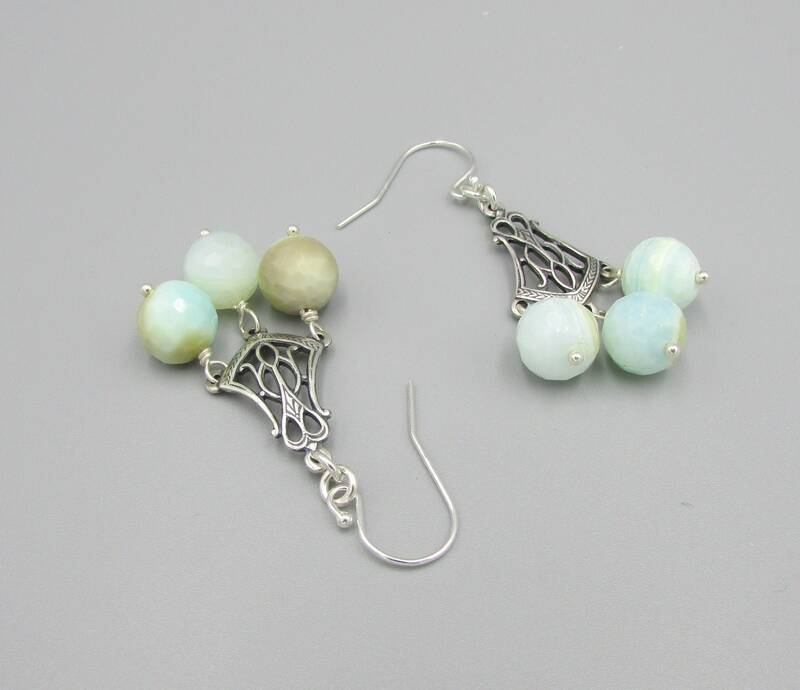 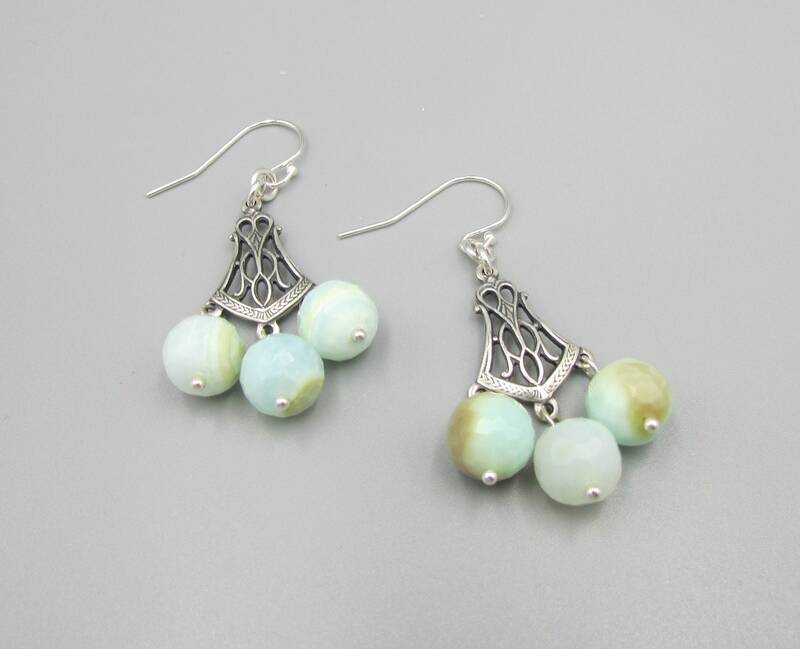 These adorable peruvian opal earring are made with a fine silver plated finding with 8mm round faceted light blue peruvian opal gemstones on sterling silver head pins. 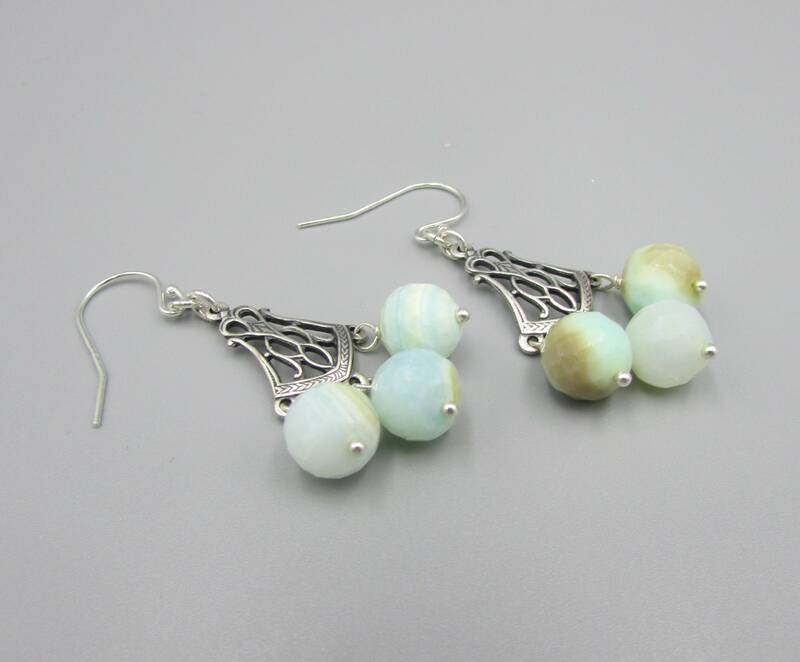 Gemstone information: Peruvian Opal is the national stone of Peru and it is relatively rare and can only be found in the Andes mountains. 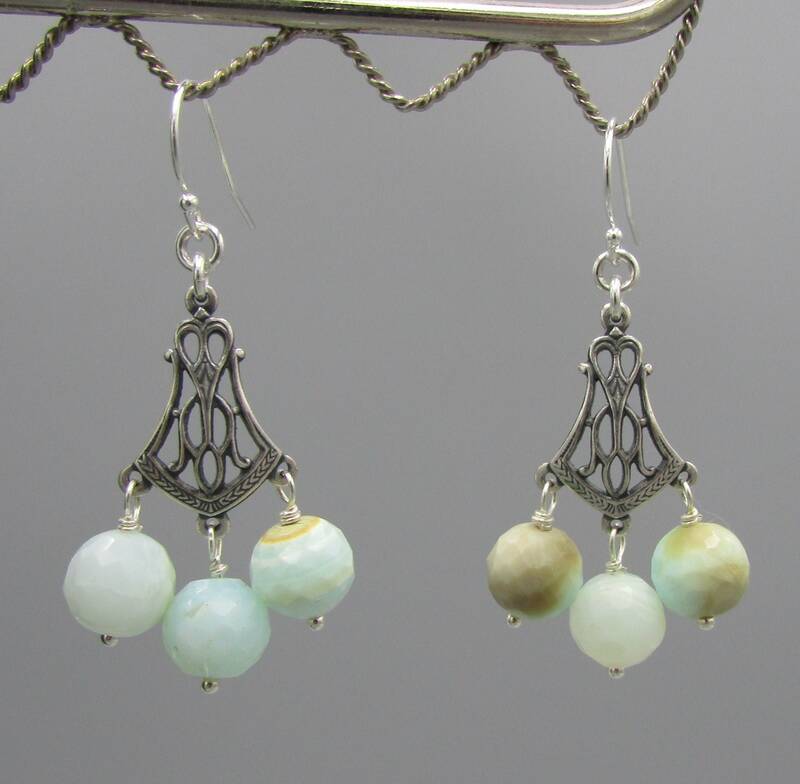 Its internal crystalline composition is random, meaning this gemstone lacks the colour play or fire of a usual Opal.